We take a look at six cheap gaming monitors that are ideal for FPS and twitch-sensitive games. There’s been a lot of talk lately about 144hz, 1440p, 4k and everything else gamers need in a so-called gaming monitor. Sure those monitors are nice, but if you can’t run modern titles in optimal settings above 60 FPS in 1080p, why pay the exorbitant amounts that manufacturers want for those types of monitors? So, if you’re with me, then what type of monitor should you go with? If you’re an FPS or first-person shooter gamer like I am or play twitch-sensitive games, you first and foremost want a monitor that has low input lag. Response Time, Input Lag, Refresh Rate What? You’ve probably overheard someone mention responsiveness when talking about gaming and monitors. This term can be confusing and associated with just about any term you can think of. That being said, these terms are very different from one another. Response time has to do with pixel responsiveness and the time it takes for them to go from white to black and back again. Many manufacturers often list the GTG or gray to gray response time in order to post a lower number. Input lag, the most important of these terms, is the delay from when you press a button on your mouse and keyboard and when you see the result on the screen. Sometimes this number includes an aggregate of both the response time and input lag and other times it’s advertised differently. Overall, I prefer something that has under 1 frame of lag or 16ms. All monitors listed in this post are in the top tier for low input lag falling in the 9-12ms category and may be used for competitive play. Lastly, refresh rate is a term that represents how fast a monitor’s display is updated each second. Most standard monitors come with a 60Hz refresh rate while other more premium monitors can more than double this number. As I mentioned above, computers that can’t run a game above 60 frames per second can’t take full advantage of the benefits of a monitor that goes above 60Hz. 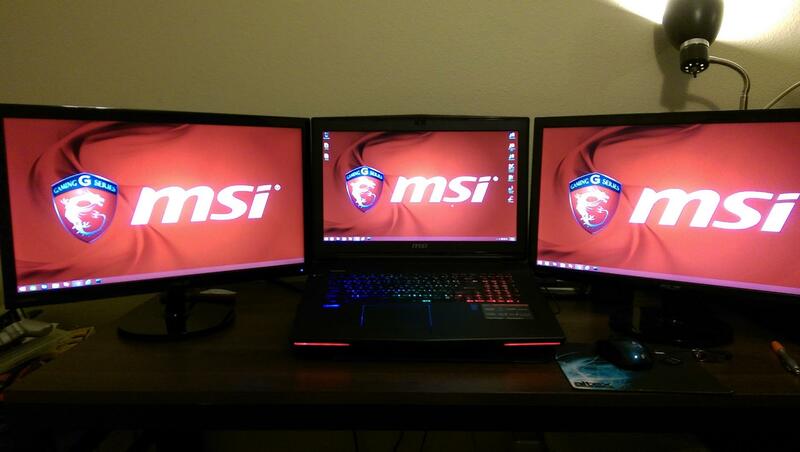 Size 23" 23" 23" 21.5" 27" 27"
You don’t have to pay a lot to get a good monitor for PC gaming. Here are 5 good monitors under $150, including 2 IPS panel monitors, that are excellent for twitch-sensitive games and which measure as little as 9-12ms of input lag. 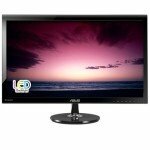 A responsive IPS monitor for under $130? There’s a lot to like about the Asus VS239H-P.
Want something with better color accuracy and viewing angles? 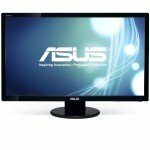 Check out the Asus VS239H-P. The monitor itself has an incredible picture and comes with DVI, Analog, and HDMI options for connectivity. It also uses standard 100x100mm VESA wall mounting holes. If there’s a complaint I’d have about such a cheap e-IPS monitor it’s that the stand is a bit wobbly. Coming to an IPS panel from a TN panel you may notice a bit more ghosting; however, for this specific panel it doesn’t bother me and especially when you use the trace-free feature. Overall, it’s the number one monitor I’d recommend for this list and a steal at just around $130. 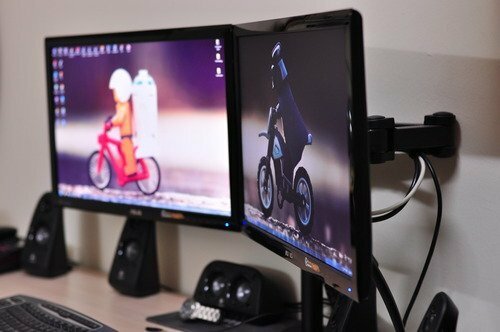 The appeal of TN panels is that they often have lower response times than IPS panel monitors. As a high response time prevents ghosting, this can be a problem in monitors that have a response time of over 5ms and is generally not as big of a deal (not always) in monitors that fall under that number. I’ve had a couple of these monitors in my office for the last few years and have never been dissatisfied with their performance. 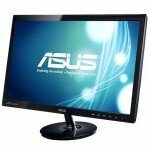 Many Asus monitors tend to have good responsiveness and this one is no exception. With rebates that take it to around $116 this month, it’s hard not to like what’s being offered here. In terms of design, the bezel is small enough to put side by side with another one of the same type and with VESA mounting holes it’s easy to put this on an articulating arm mount or on your wall. For picture, it’s what you’d expect in a 1080p TN panel from Asus. Bright and just about as good as you’ll get in this price range. It includes Asus’ Splendid Video Intelligence Technology which allows for various modes including, what I’d suggest, the game mode for maximum responsiveness. For connectors, it includes a VGA, DVI-D, as well as HDMI port. Another really great 24″ Asus Monitor is the Asus VS247H-P. It’s another slim option with a great picture and great overall responsiveness. 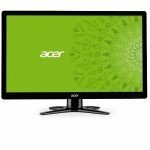 There’s a lot to like about the Acer G236HL. At just under $110 it’s one of the cheaper monitors on this list but still sports a 23-Inch LED screen. In terms of design, the bezel is thin and profile is as thin as I care for. In terms of the picture, it’s crisp and clear but feel a little washed out when compared to some of the other monitors on this list. The viewing angles are consistent with other options this list and certainly not as impressive as an IPS display; however, if you’re looking head on, it works. Too Small? The 24-Inch version of this sports a similarly low input lag score and is just around $10 more. If you’re looking to buy this monitor, here’s a couple other things you should know. It has DVI and VGA only. So, if you’re looking for HDMI or DisplayPort, you’re out of luck. Also, if you plan on using a mount, stay clear of this one. It has no VESA mounting holes. Still, for the money, it’s overall responsiveness, size, and picture is still worth of a place on this list. 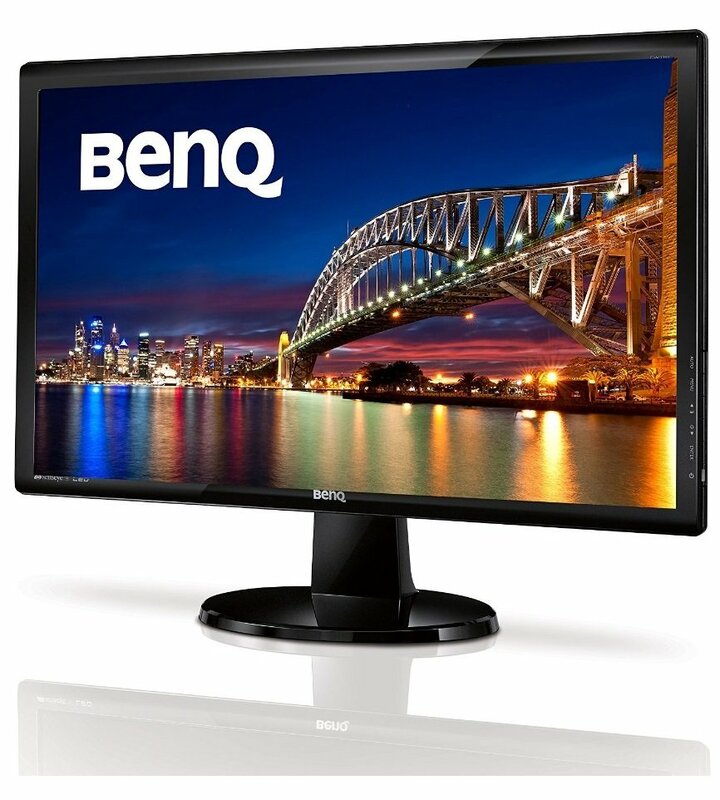 BenQ has been making some of the best gaming monitors on the market as of late but unfortunately, many of them are very expensive. 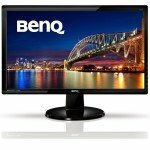 If you want the quality and responsiveness that a BenQ monitor has but don’t want to pay the price, take a look at the BenQ GW2255. While the screen itself is a bit smaller than other options on this list at 21.5″, there’s a lot of other features you’ll like about this monitor. Specifically, the picture you get for the money you spend is probably my favorite on this list. For color accuracy, contrast, and viewing angles, this feels just about as good as you get for a TN panel. In addition, it comes with VESA mounting holes. Not all is perfect with this monitor. The screen itself is glossy (it does include an anti-glare coating) which will be a dealbreaker for some. A 6ms response and how it performs in real-world gaming might feel a bit blurry to those who are most sensitive and the lack of an HDMI port may be a turnoff. Those who go with this monitor will be able to somewhat limit any ghosting issues by adjusting the BenQ AMA settings. Still, you won’t find any bleed on this monitor, it looks good and has low input-lag. In summary, there’s much more to like than dislike here and especially around $120. Looking for something a little bit bigger? The Asus VS278Q and VE278H models are two fantastic monitors that are 27″, great for gaming, and under $200. The Asus VS278Q gives you a bit more flexibility by adding a DisplayPort. 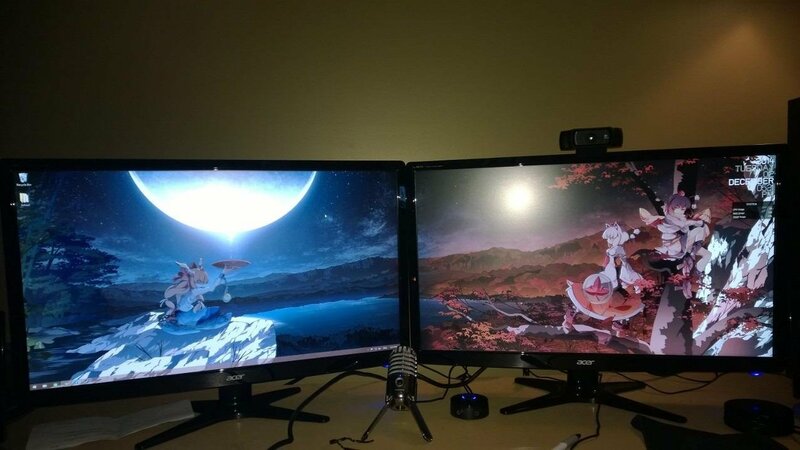 Both have good pictures, huge screens, and are overall very responsive for gaming. In addition, both have 2xHDMI connectors. 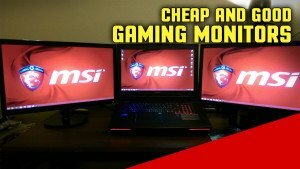 Overall, go with whichever of these monitors happens to be cheaper at the time. At a similar price, I’d probably go with the VS278Q which was released a year earlier, but has more connectivity options. 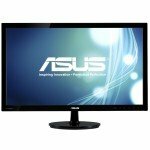 Which company makes the best monitor for gaming?